Whether it is continuing education, or trying something creative and outside of the box, some members of the Laboratory Medicine Program have taken the initiative and decided to further their own education and interests. Read the two interviews below and see if it might encourage you to try something new. It could be a new course related to work, an opportunity outside of the laboratory, or something else altogether. 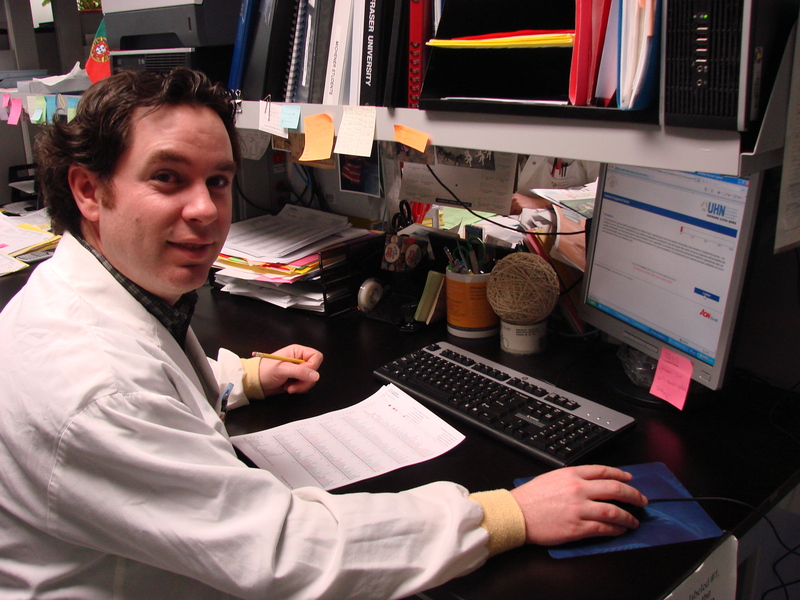 Wes Morrison works as a Molecular Genetics Technologist in the Laboratory Medicine Program’s molecular laboratory. Recently he completed the Michener Institute’s Clinical Laboratory Quality Manager Graduate Certificate Program. We sat down with him to learn more about what motivated him to further his education, and what he says to those who are thinking about their own educational opportunities. What is the Clinical Laboratory Quality Manager Graduate Certificate Program? It is a course, offered through an accredited institution that addresses the 12 quality management essentials, that are the core of every licensed clinical laboratory. It is detailed and comprehensive and provides a terrific overview – and deep dive – into the type of quality system we employ here in LMP. How did you hear about the certificate program? I actually don’t remember. I am an alumni of Michener, so I may have received it through being part of their mailing list. We also have a terrific network here in LMP, including our management team, that always has an ear to the ground for these types of opportunities. I knew I wanted to further my education, so I was likely looking for opportunities everywhere. What was involved in the program? The program was correspondence based and took about 2 years to complete. It was a series of online modules, online discussions, readings and projects. The program was filled with mostly students in Ontario, but some from other areas, including students from the Caribbean. I already knew about Quality Management Systems, so the overall concept wasn’t new to me. But, it was basically an in depth looks at the reasoning behinds the forms and structure of the systems. I’ve been working within it for years, so I knew how it applied in a practical sense, but learning about the theory and being educated on the strategy behind why we do things in the laboratory was really the best part. I was able to bridge the two – the theory and the practical – and be able to see the whole picture, think about why we do things here, and see how we can grow and improve our own system. I wanted to improve. I think we should all strive for constant improvement and since quality drives everything we do, I felt this was the best place to focus. I really value delivering quality every day, so I wanted to gain a better understanding and appreciation around how to do that in a Quality Management System. What would you say to others looking to further their education? Do it! We should always continue to improve ourselves. Don’t be complacent. There are a lot of resources out there, whether online or through post-secondary institutions. The Allied Health fund is a great option for some people too. Plus, there is a lot of support within LMP for this type of continuing education. It really is a perfect fit as it benefits the individual and the organization. 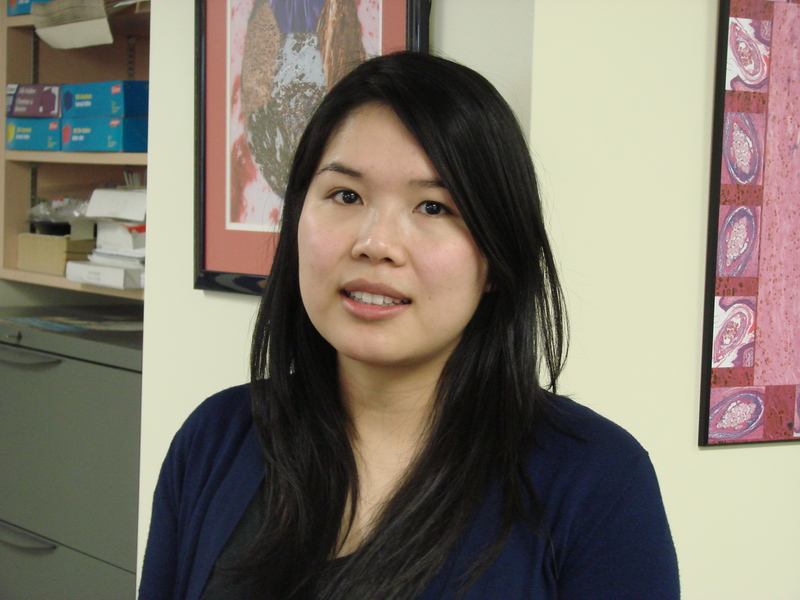 Sarah Liang, who also works as an MLT from Molecular Genetics, is taking a different path than Wes – she’s going to try pastry making! We talked to Sarah about what why she decided to try and learn something completely different than her chosen career. I’m going to be heading to Paris as I’ve been accepted into a pastry-making program in Paris. I’ve always been interested in cooking and baking, so I’m looking to further those skills. I’ll be attending Ferrandi, the French School of Culinary Arts. It’s a ten-month intensive program that focuses on the fundamentals of pastry making. I came across the school online and thought that it would be the perfect opportunity to realize my dreams of learning how to bake plus living abroad in Europe. How did you approach your supervisors about it? I first spoke with Bev, the charge tech in our area. She was very supportive of the idea and even helped write a reference letter. Once I was accepted into the program, I spoke with Laurie Mason, my manager. I told her about the program and what it meant for me. She was very excited and supportive of the idea, including granting a leave of absence, which I really appreciated. What would you say to others looking to try something new? I think everyone should try and explore ways to enrich their life. Cooking and baking is where I find enjoyment outside of work, so this was a great fit for me. I encourage everyone to find something that they are passionate about and try it out. We should live life to the fullest and never let fear stop us from doing we what love.